The former chief executive of an insurance company believes the center of value of the property/casualty industry has shifted away from one of the activities that would seem to define an insurance risk-taking enterprise: insurance underwriting. The insurance industry has evolved in the last 50 years, from a time when underwriting was the core competency—and the seat of profitability—to one where distribution reigns, according to former CNA CEO Dennis Chookaszian. 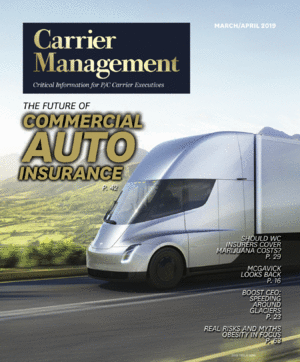 “Today, the core competency has shifted primarily to distribution and control of the customer,” Dennis Chookaszian, the former CEO and chair of CNA, told Carrier Management during a phone interview recently. Sharing his views about the past, present and future state of the industry, Chookaszian said he believes Aon, Marsh, Gallagher, Willis and other large commercial brokers hold the seat of power in the industry quite simply because they command the customers and the growing portion of the profits, in sharp contrast to the situation that existed half-a-century ago, when the entities that had capital and information garnered the most profits.